When most of us think of a national park we think, trees and dirt trails. Unless your life is on the water, few seldom associate a park with being underwater. 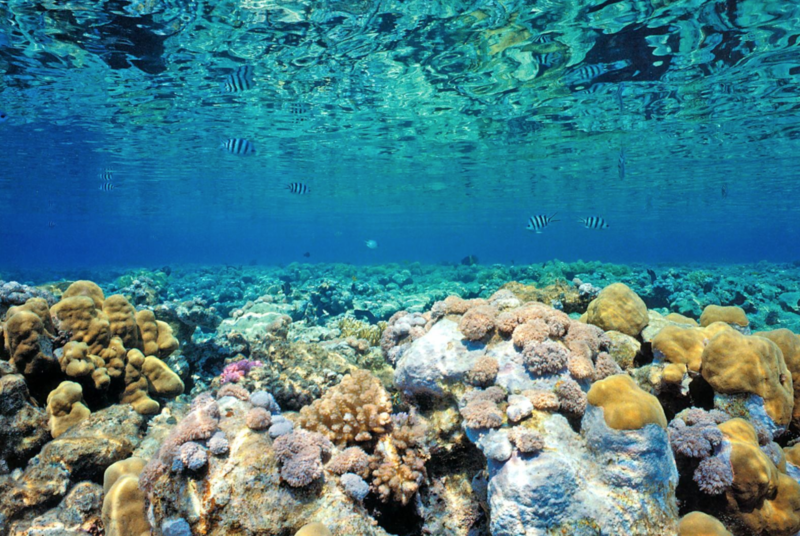 In reality, millions of acres of land have been dedicated to the preservation and renewal of our underwater world. Very little of this vast underwater paradise has been explored by divers. Since Atlantis Kemer’s home base is on Key West, part of Florida’s southern archipelago, our location opens us up to several National Parks on the Eastern seaboard. Last year, while our company boat, Sea Goddess was in dry dock we chartered a 45-foot schooner and went on holiday to explore. It was a beautiful ship managed by my friend’s company, who also runs a top rated buffalo tow service further inland who delivered the vessel to us. In fact they’ve developed many companies over the years much like a rejuvenating underwater ecosystem would do. We became acutely aware that we had been overlooking one of the best kept dive locations just up shore of our home stomping grounds. We invited four good friends, – and experienced divers who were visiting from Ohio, to scoped out the local area for possible dive attractions that we could add to our 2017 menu. We started our adventure with . . . In honor of the 100th anniversary of the US National Park system we decided it would be resourceful to investigate some of the dive sites in our own backyard. Biscayne National Park has over 10,000 years of history. It’s documented to have been a source of life among the indigenous people of the area for millennia. 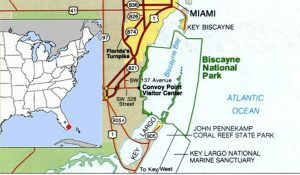 Covering nearly 173,000 acres with 95% of the park under water, Biscayne National Park lies to the north of Atlantis-Kemer’s port. It is south of Miami and hovers around Elliot Key, the first of the chain of islands that make up the Florida Keys. Because of its close proximity to such a large urban area, the ecosystem is always in flux. It holds four fragile “ecotones” that support an array of wildlife that is only found in its waters. With a wide variety of colorful fish, – over 600 hundred species, plants and other marine animals, like the manatee, this area is uniquely suited to steward a portion of the second longest barrier reef on the planet. Where there is coral reef, there is an abundance of opportunities for divers to experience exquisite displays of underwater activity. The reef brings into play another diver’s draw – sunken ships. Over the years, merchant cargo ships among others which carried supplies to and from the “new world” would have the unfortunate outcome of scraping bottom on the razor sharp edges of the coral. Divers can see history through the coral inhabited shells of ships that went down hundreds of years ago. In more recent times ships were sunk intentionally to provide a home to the ever expanding needs of the coral. Several wrecks are considered benign dives that are located in shallow water, while others on the outskirts of the park require the experience of a seasoned diver to go as deep as 50 to 100 feet. The diversity put a check in the positive column as far as including Biscayne National Park on our product and services agenda for upcoming June and July expeditions. With so many options that we have yet to investigate, Biscayne National Park opened our eyes and hearts to the abundance of beauty that is so close to home. It is our honor and deepest delight to share these magnificent places with our guests. Where have you had surprises in your part of the world? What have you discovered in your own back yard? Leave a comment below and share your story with us.